Wealth Strategies & Management LLC (WS&M) works with corporate institutions, mid-sized companies, bank trust departments, and small businesses to provide strategic direction on asset management, portfolio growth, and financial planning in order to chart a solid course perfectly aligned to address client goals and objectives for their organization’s fiscal future. 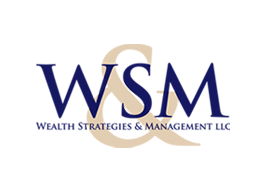 WS&M offers a refreshing approach to institutional wealth management, focused on forging a strong relationship with both the client and their stakeholders, including board of directors, legal counsel, and corporate executives, among others. This symbiotic relationship fosters open communication and leads to sound strategic advice perfectly attuned to the budgetary concerns and timetable constraints common to the corporate and institutional financial services sector.